hello again, hope your keeping well, I'm not too good myself at present. I have a chest infection(again) along with aching limbs and general fatigue. Today we start a new challenge at Cardz 4 Galz. Julie has chosen - Get Krafty - so you are to use Kraft card. The DT have again excelled with some wonderful inspiration. Please pop and visit the blog to check them out. stamp from Honey Doo Stamps, along with the Greeting stamp. I stamped with Versamark, heat embossed with white fine detail powder. I then painted with mica paints. It truly glimmers and shines . Something Beginning with the letter...... this month it is 'D'. The DT have some super ideas, please pop over to see them. I took an easy option and chose DAD for my letter D.
I used papers from my stash from Creative Crafting World. The Cricketer and accessories are by "Craft UK" Rubber Stamping. This could be for a sixty four or forty six year old. The Dad stamp was a 50p purchase in a sale. So useful. Coloured with Promarkers and Distress Inks. Please check out the blog to see the team's use of Kraft Card. Gold Mirri card to mat a piece of cream card. and the snowflake corner decorated with glitter and a gem. The Tall Robin was coloured with Promarkers. challenge at The Holly and the Ivy Christmas Challenges. 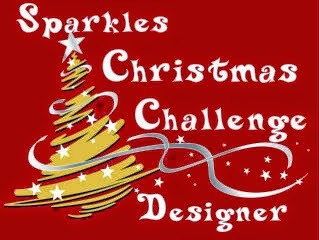 As always the challenges are Anything Goes - Christmas. the ideas from the Design Team. My card is a small 4" scallop edge card. I used card, papers and gems from my stash. Both designs are stamps by Little Claire Designs. This card was recently shown on Hochanda TV. I coloured them with Promarkers. Have fun - please pop back soon to see more of my cards. Please do visit the blog to check out the Design Team's inspiration. For my card, the topper is from a LOTV stamp. Papers and other elements are all from my stash. The butterfly is MDF coloured with a Green Sparkle pen. Check out the DT's inspiration over on the blog. I used papers , gems, glitter, lace and flowers from my stash. The doiley die from Dreamees. Hi, today we start a new challenge at Cardz 4 Galz. The Design Team have some fabulous inspiration for you to see. I made a cute Christmas Card for a cat lover friend. The image and papers are from Creative Crafting World. have demonstrated a number of varieties. Have fun with your folding. Please pop and check out the amazing ideas from the DT. it looks, using one A4 sheet of card for the main body. 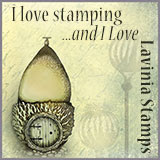 of stamps by "Craft UK" Rubber Stamping. I coloured the golf bag and the player with Promarkers. Have fun, enjoy doing something different. a Happy Birthday during this month. Please check out the blog for the rules and to see the super DT cards. toppers and papers to make a batch of cards for a charity I support. These papers are in The Decadent Days files. I added silver mirri card, glitter and pearls. Have fun and stay well. Thanks for your visit. Please pop over and check out the fabulous ideas from the DT. I added glitter and gemstones. Have fun. The Holly and the Ivy Christmas Challenges. Please check out the amazing inspiration from the Design Team. The cute elephant stamp is part of the amazing value Christmas box set. I used gold mirri card and paper from my stash. 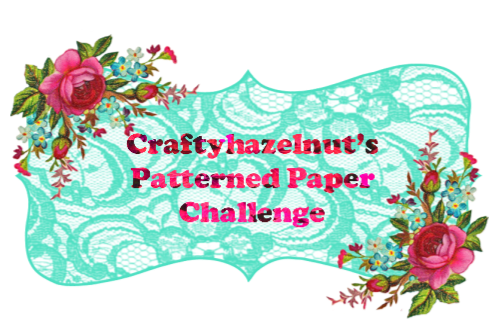 Hope you enjoy visiting the blog and joining in the challenge. 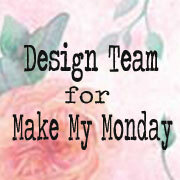 Please pop to the blog to check out the inspiration from the DT. from a set by The Works. I hope you like the little fairy who is so pretty. the amazing Design Team at Winter Wonderland. Use Ribbon, Twine or Lace. Our thanks to our sponsors for the fabulous prize on offer. £10 Voucher for On-line Store. 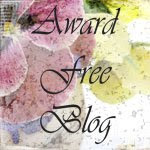 Please take a look at the blog, and see the great ideas from the DT. For my card, the main stamp is Christmas Hoot by Woodware Stamps. The ribbons and button are from my stash. The small tags are LOTV Christmas sentiment tags. Have fun, please remember your card must be for Christmas. 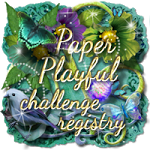 Hello, today at Alphabet Challenges we have reached the letter K.
The challenge set is for anything Kinetic. Please check out the wonderful designs from the design team. I have made a Twist and Pop-Up Card. I used papers from Graphic 45 Off To The Races. There are lots of tutorials on You Tube if your interested. Here it is when opened. Helen has chosen Pretty Pastels. 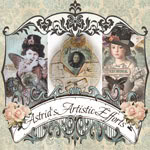 Please pop over to see the wonderful ideas of the Design Team. behind with pink and green Distress inks. Hi, today we are starting a new challenge at Cardz 4 Guyz. The Design Team have some fabulous creations for you to see. I have used a LOTV stamp Twins Are Twice as Nice. Tiny Tatty Teddy paper pad.